"MRI offers a way to sense things from the outside of the body in a minimally invasive fashion," says Aviad Hai, an MIT postdoc and the lead author of the study. "It does not require a wired connection into the brain. 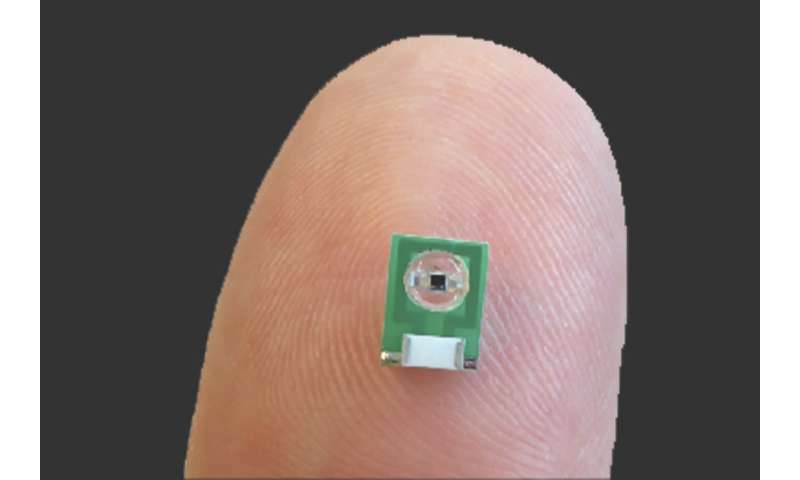 We can implant the sensor and just leave it there." Alan Jasanoff, an MIT professor of biological engineering, brain and cognitive sciences, and nuclear science and engineering, and an associate member of MIT's McGovern Institute for Brain Research, is the senior author of the paper, which appears in the Oct. 22 issue of Nature Biomedical Engineering. Postdocs Virginia Spanoudaki and Benjamin Bartelle are also authors of the paper. Jasanoff's lab has previously developed MRI sensors that can detect calcium and neurotransmitters such as serotonin and dopamine. In this paper, they wanted to expand their approach to detecting biophysical phenomena such as electricity and light. Currently, the most accurate way to monitor electrical activity in the brain is by inserting an electrode, which is very invasive and can cause tissue damage. Electroencephalography (EEG) is a noninvasive way to measure electrical activity in the brain, but this method cannot pinpoint the origin of the activity. To create a sensor that could detect electromagnetic fields with spatial precision, the researchers realized they could use an electronic device—specifically, a tiny radio antenna. "We showed that these devices are sensitive to biological-scale potentials, on the order of millivolts, which are comparable to what biological tissue generates, especially in the brain," Jasanoff says. Normally, luciferase's exact location cannot be determined when it is deep within the brain or other tissues, so the new sensor offers a way to expand the usefulness of luciferase and more precisely pinpoint the cells that are emitting light, the researchers say. Luciferase is commonly engineered into cells along with another gene of interest, allowing researchers to determine whether the genes have been successfully incorporated by measuring the light produced. 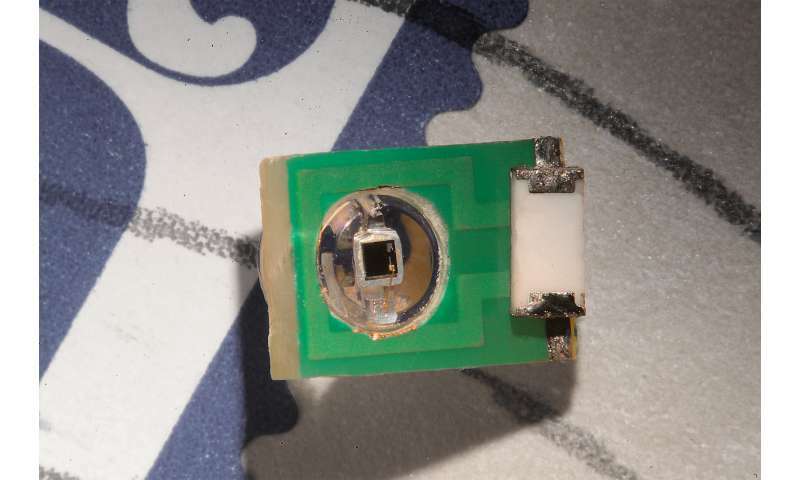 Jasanoff's lab is interested in using this type of sensor to detect neural signals in the brain, and they envision that it could also be used to monitor electromagnetic phenomena elsewhere in the body, including muscle contractions or cardiac activity. "If the sensors were on the order of hundreds of microns, which is what the modeling suggests is in the future for this technology, then you could imagine taking a syringe and distributing a whole bunch of them and just leaving them there," Jasanoff says. "What this would do is provide many local readouts by having sensors distributed all over the tissue."